Dr. Barry Leonard is an Optometrist with over 29 years in treating patients for almost any kind of eye disease or condition. But Keratoconus is a rare and difficult-to-diagnose eye condition that requires special training to both diagnose and treat. Finding the right Keratoconus doctor is your first step in seeing clearly. Also — and this is unique among Keratoconus specialists — Dr. Leonard is a Keratoconic patient himself so he understands your condition. As a result, the normal treatments you would receive — such as contact lenses or prescription glasses — just won’t work. In the case of contact lenses, the lens cannot rest smoothly on the cornea. And glasses cannot be made that will always keep in focus no matter which direction the eyeball is pointed in. The point of the corneal cone will always be pointing in a different direction, and glasses cannot be made to stay in focus. In other words, it’s difficult to treat Keratoconus. If you live in the San Fernando Valley, and have Keratoconus, call Doctor Barry Leonard, a Keratoconus patient himself, who wears Keratoconus Contact Lenses just like these. But Dr. Barry Leonard is a specialist in the diagnosis of Keratoconus, and in treating patients with Keratoconus. That’s because he has been trained to fit and prescribe many custom contact lenses for Keratoconus. 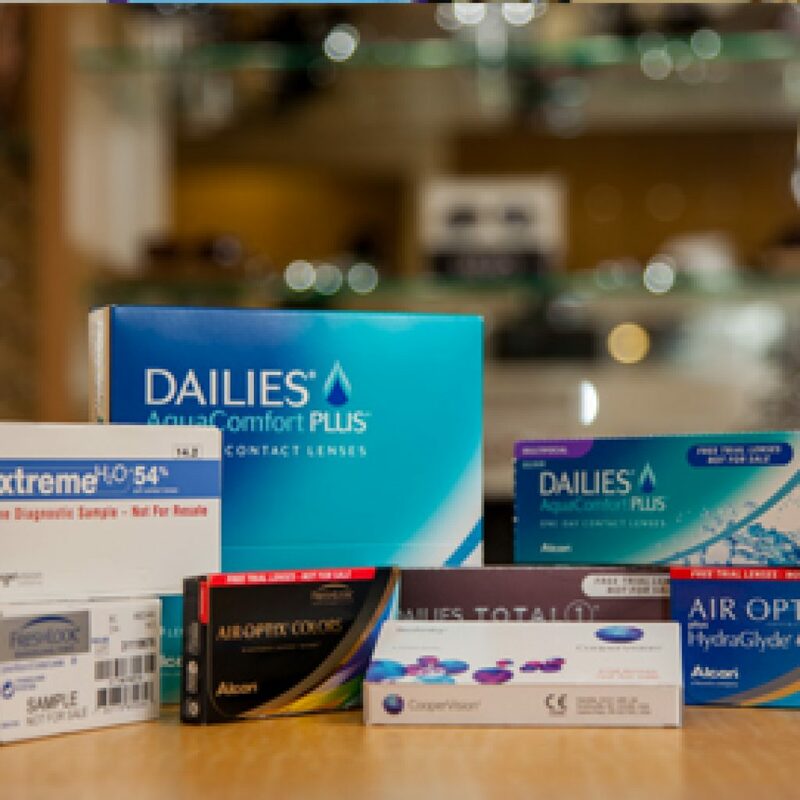 Your Keratoconus can be treated with a number of different types of contact lenses. Hybrid Contact Lenses have all the benefits of a rigid gas permeable contact lens, plus the comfort of a typical soft contact lens. Rigid Gas Permeable lenses don’t mold themselves over your cornea like a soft lens, but instead holds its shape and keeps a layer of tears between it and your cornea to help correct your vision. But RGP lenses can’t always remain positioned properly on a cone-shaped cornea. Scleral lenses are also an option. That’s because they cover your eye all the way out towards the whites of your eyes. And yes, there are surgical Keratoconus treatments, too. But the right treatment for you is a personal decision — one that you need to arrive at with the help of a Keratoconus expert doctor, like Dr. Barry Leonard. Do you have Keratoconus? 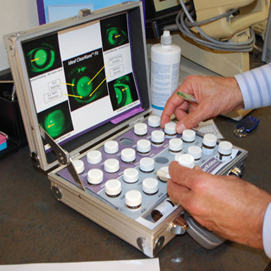 Then it’s time to call the best Keratoconus doctor anywhere in California, Dr. Barry Leonard, at 818-891-6711. Or, make an appointment online by using the link at the top-left of this page. Dr. Leonard uses every available advancement in vision technology to help treat his patients suffering from the effects of Keratoconus.